About Us - International Expatriate Consulting, Inc.
Delayne Romson is our President and Managing Director. She has been actively working in the Mobility industry since 1986. 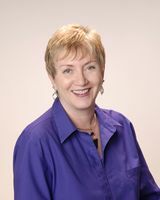 Prior to forming her own company, International Expatriate Consulting, in 1995, she held a Global Mobility and Immigration management position with Apple Computer, Inc. In 2015, Delayne moved to Maui, Hawaii and works from home, while she enjoys the beautiful Island of Maui! Stephen Hill is our Chief Technical Officer and Vice President of Finance. He has been with us since 1988 and manages all hardware and software. 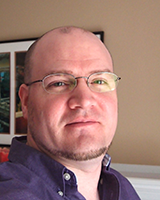 Stephen is also our resident FileMaker Developer and expert. Stephen has significant technical experience in the the management of hardware, developing and customizing software (including FileMaker). His customer service may be a bit more technical in nature but he has been very successful in assisting our Human Resource clients as they customize their own databases. Our consultants are also corporate and service provider educated, with experience and expertise in a wide variety of business settings.